Elizabeth “Liz” T. Gonzales, 81, of Sister Bay, died Saturday evening November 24, 2018 at St. Mary’s Hospital in Green Bay with her family by her side. 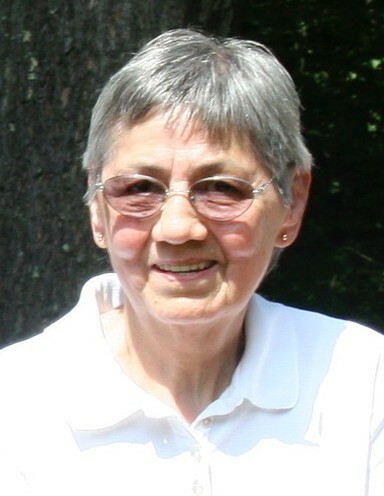 She was born December 6, 1936 in Keshena, the daughter of the late Mitchell and Mary (Beaupray) Maskewit. On her 21th birthday, she and her sister, Dorothy, set out on their own to Dallas, TX in search of jobs. She started her family there and moved to Ellison Bay, near her brother, in the late 1960s with her family. She worked in housekeeping for various hotels in the area and at the Red Barn Shops for many years. Liz was a member of the Menominee Nation and Stella Maris Catholic Church. She loved her family and being a grandma. She was a great example to all who knew her. Hard-working and compassionate to those who needed help. She was loyal, honest, generous ,and giving throughout her life and funny even in her final days. She was an avid reader and liked solving crossword puzzles and watching the Golf channel, and baseball. Liz is survived by her five children and their families, Christina (Justin) of Shawano, Teresa (Steven) Hitzeman of Green Bay, Albert Gonzales of Fayetteville, AR, Anthony Gonzales of Sister Bay, Suzann Jonson of Elgin, IL; 11 grandchildren; two great-grandchildren and two on the way; brother, Carl Maskewit of Keshena; sisters, Dolores Edgeton of Shawano, and Kathleen Sammons of Muncie, IN. She was preceded in death by her parents, Mitchell and Mary Maskewit; son, Johnny Gonzales; and four siblings, Mitchell, Donald, Dorothy and Laura. A Mass of Christian Burial will be celebrated at 10:30 a.m. on Wednesday, November 28, 2018 at Stella Maris Parish-Sister Bay site with Fr. David Ruby officiating. Burial will be in Keshena. Friends may call at the church on Wednesday from 9:30 a.m. until the time of Mass. The family wishes to extend a special thank you to the staff at St. Mary’s Hospital and Unity Hospice for their compassion, care and support. Casperson Funeral Home & Cremation Services in Sister Bay is assisting the family with arrangements. Expressions of sympathy, memories, and photos of Liz may be shared with her family through her tribute page at www.caspersonfuneralhome.com.